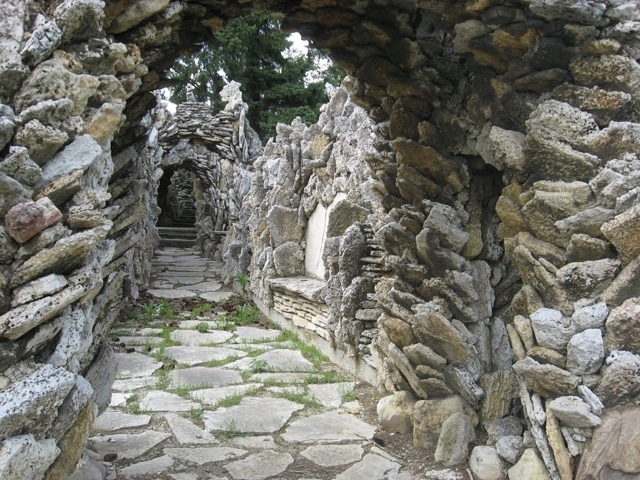 Below is a photograph of the grotto my mother would take us to when my brother and I were small. It is in the grounds of the Sacred Heart Monastery, and I have always loved it for its beauty and peace. It’s just the quiet place to go to contemplate one’s faith. To ask for forgiveness. To feel His love. To begin again. May the peace of The Lord be with you today and always. I'm not sure any of us is capable of convincing another of the truth of our faith. All we can do is witness to it, in whatever way is opened to us. You witness beautifully – the result? Well, that's up to God. What we're really called to do, in the words of Wendell Berry, is practice resurrection. you just quoted my life verse in your comment above. I heard another quote this week that I love….preach the gospel every day and sometimes use words!! Hope you are enjoying a blessed Easter as you celebrate what Jesus did for you and me! much love! A beautiful message and a beautiful picture from one who has an absolutely beautiful spirit. I hope you have a wonderful Easter today. It's difficult isn't it, if you have faith and others are flippant. Anyways, Happy Easter! Ooooh, that's gorgeous! I wish there was somewhere so cool and peaceful near us. I'm pretty much surrounded by either people I think are *too* religious (closed-minded religious, not believers in love) or anti-religious, these days. Need to find a church that fits us, I think, in our new area. It's frustrating to try to share your thoughts like that and hit nothing but a mental wall. But, I've always thought the best you can do is just continue to be loving. Love your friend. Maybe someday he'll come around. I have a friend who always says this too. It annoys me but I have stopped reacting to him when he says stuff about Zombie Jesus. He really only says it to get a reaction out of me. I believe what you say about your friend; you know him, after all, and I don't. But, I have difficult reconciling the idea of a good man mocking your beliefs so openly. I hope you had a peaceful, wonderful day, my dear. Where is that beautiful monastery? Such a beautiful spot, perfect for deep contemplation. I hope you had a marvelous Easter, Bellezza! It's in Lisle, Illinois, even though it looks like it could be in Italy.